What is that? was my first reaction as I looked at my Outward Bound Instructor’s split-board. What looked like a pair of oddly cut skis were actually two halves to a snowboard. The core concept is that you can put skins on the bottom, tour up the mountain like you would on skis, and when you reach the top, snap the board together and ride down like a normal snowboard. Having post-holed my way through powder with snowshoes and a board on my back, I knew I had to try it out. As a total novice to the sport, finding a good split-board was a daunting task. Researching different brands was like navigating without a map, I had no idea what gear was reliable or what I was looking for. I turned to my instructor Izzy, who told me about a tiny company she rides for, Weston Snowboards. As someone who loves supporting local brands, I was intrigued by this small company based out of Minturn Colorado. When I finally scrapped together enough money for a board, I drove out to Minturn, met one of the owners, and began my journey with this remarkable little company. Weston’s history is a true realization of the American Dream. 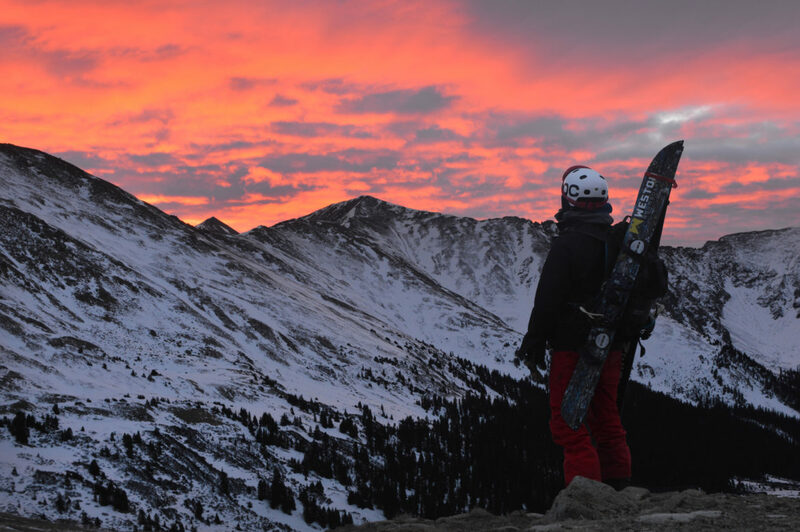 Mason Davey, the current co-owner of Weston, drove out to Colorado in his early twenties with a passion for snowboarding and two hundred dollars to his name. He found work running Weston’s shop and quickly became the face of the brand. For three seasons he found innovative ways to grow the brand, make deals, and expand the market of Weston board. Before long, he and Leo Tsuo, another employee in the shop, began envisioning a greater future for the company. Together they bought the company from the original owner, and in the last six years have transformed it into one of the most successful up-and-coming snowboard companies in the world. 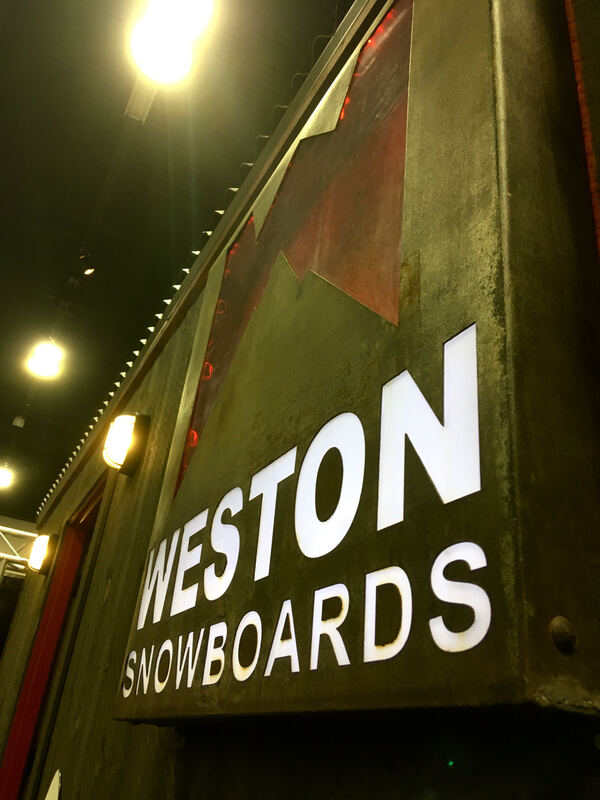 Weston boards have gone on to win “Best Split-Board of the Year”, “Best Men’s Splitboard of the Year”, and several other awards from Transworld and other companies in the industry. It was Mason’s passion for the sport and dedication to following his dreams that first captured me with Weston. I was inspired by his willingness to just go for it, break the traditional expectations we’re all under and create his own path. When I saw that Weston was looking for interns, I knew I wanted to be part of the company in any capacity. I wrote a letter to Leo explaining how I was moved by the history of the company, my love for their boards, and an interest in joining the team. This landed me an interview at their office in Denver, and shortly afterwards I joined the team as an intern. What do I do for Weston? I’d say a little bit of everything. 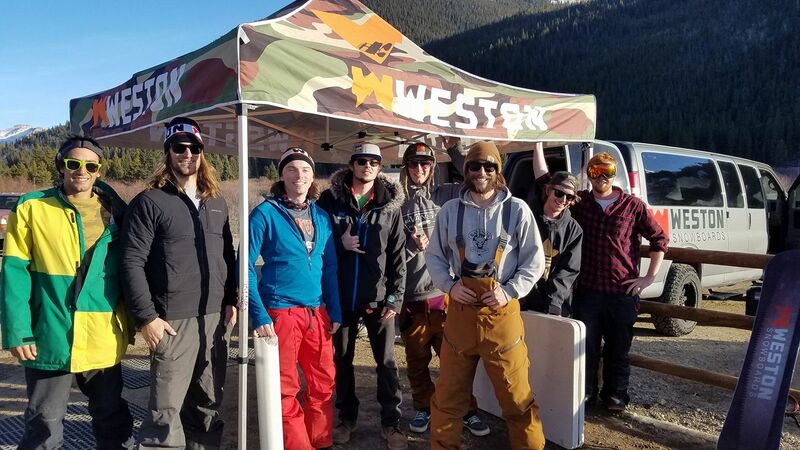 Much of my time spent with Weston has been on the slopes, turning screws on bindings at demos, explaining our boards, and getting people to try them out. I’ve also been support for many of our fundraisers and events, setting up booths, speakers, and other gear. In many ways it feels like being a roadie. I’ve also manned our showroom in Denver, checking out rentals and explaining our lineup of boards to potential customers. My experience was much deeper than grabbing coffee. 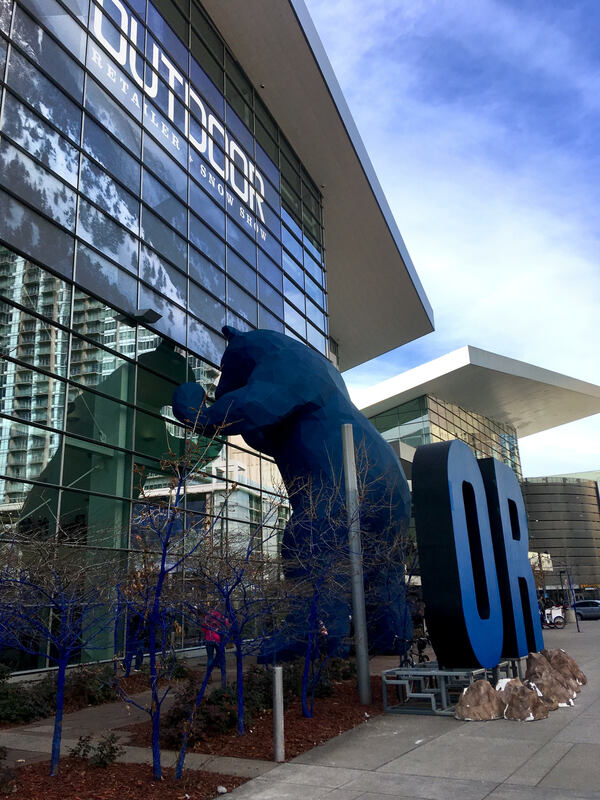 I got to work on several creative projects including creating backcountry maps of routes in Colorado, blogging about split-boarding, and had the chance to attend SIA (Snowsports Industries America) and now the Outdoor Retailer expo where all the biggest brands in the snow sports industries come together to show off their latest gear. I think an important thing to consider when searching for internships is the experience you will gain over more tangible rewards like a paycheck. Sure, you can get an internship in an office that might pay a little over minimum wage, but you might end up entering data all day or doing unfulfilling work. Make sure you’re spending your free time doing something that actually inspires you. If possible, try and find an internship that will allow you to grow your skills, network, and learn from professionals in your industry. This could open doors for a future career after school. My internship was unpaid, like many, but I wouldn’t trade my experience for anything. Weston opened the doors to an industry where I feel I really belong. I was able to meet leaders of the industry, learn from locals in the Vail/Minturn valley who ride everyday, and make friends and connections that I couldn’t have any other way. I’d take my time with Weston over a paid internship crunching numbers in a cubicle farm any day. There are only so many hours in a day. Balancing school, clubs, friends, and trying to eat more than just Ramen are skills every college student needs to learn. If you’re considering doing an internship while in school, it only adds to the list of responsibilities you have. While an internship can be very rewarding and will certainly put you ahead of the curve, it’s important to know how that will impact your day-to-day life. Consider the amount of time you can dedicate to your internship. School should always be priority number one. Fortunately, my work times were mostly at night or on the weekends. Make sure your boss knows your class schedule, when your exams are, and any other obligations that need to take a priority. You never want to get to a point where your internship is taking up more of your time than school. Fortunately, Weston was always great at working around my classes. Don’t forget it’s also important to make time for yourself. After all, if you’re working for a snowboarding company and not getting any time on the slopes, something’s not right. It’s been an absolute dream to work for Weston as an intern. Working amongst like-minded individuals who are passionate about the sport and doing everything to grow and protect the lands we all cherish has been an incredible opportunity.